For students of all ages on Long Island, there is something magical about the changes summer brings. Whether it’s the warm air and ocean currents, or a long break from the classroom, summer brings with it lots of free time and new opportunities. Long Island is a hub of temporary and seasonal jobs related to special summer industries. From camp counselors and life guards to fishing assistants and farm hands, there is plenty of summer work on Long Island. Day camps on Long Island hire a range of staff, from directors to assistants, janitors and instructors. Summer camps are great first-employment opportunities for teenagers who enjoy working with children and have a special talent or interest they can use to educate and entertain youngsters. Parks and beaches annually hire hundreds of staffers across Long Island to fill positions in concession stands and toll booths, lifeguards and pool attendants, maintenance and trash pickers. Some of these jobs might sound more thrilling than others, but each and everyone allows you to spend some of Long Island’s most beautiful months outside under the sun. Long Island vineyards require assistance during their busy summer season with facilitating tours and wine tastings, field work and basic administrative duties. Working in a vineyard offers an amazing experience to learn about agriculture and artisanal trades while basking in the culture of the North Shore. Fishing charters, party boats and bait and tackle shops, as well as boat, canoe and kayak rentals get a lot more foot traffic with the approaching warm season. 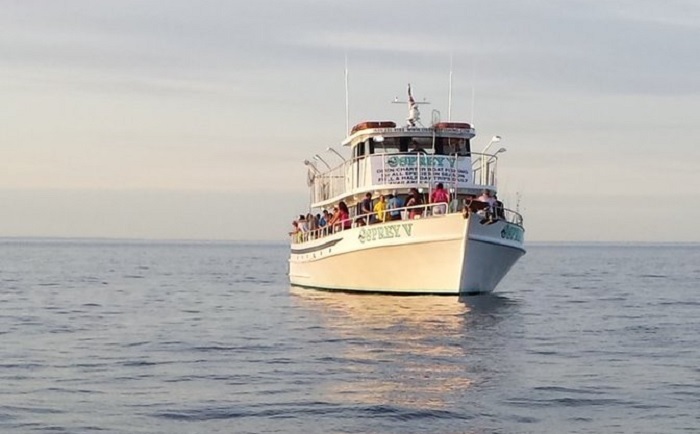 Learn more about one of your favorite pastimes and enjoy the open waters around Long Island as a deck hand on a Long Island fishing charter. A handful of seasonal restaurants open their doors in the summer on Long Island. Wait and bar staff, kitchen and cleaning crews all must be reassembled each year, and early summer is the best time to get acquainted with food, beverage and hospitality industry on Long Island. Temp Agencies - Find employment agencies on Long Island. Businesses - Find internships at a Long Island business.